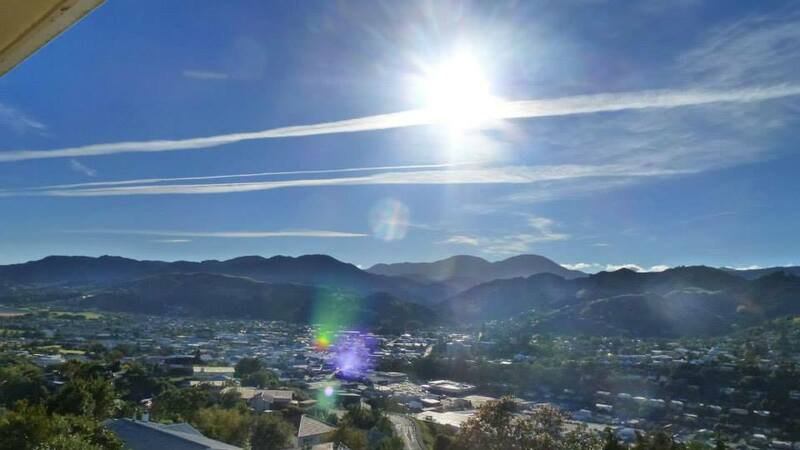 The following photos of aerosols were taken by concerned residents of Nelson, New Zealand on the morning of February the 15th. 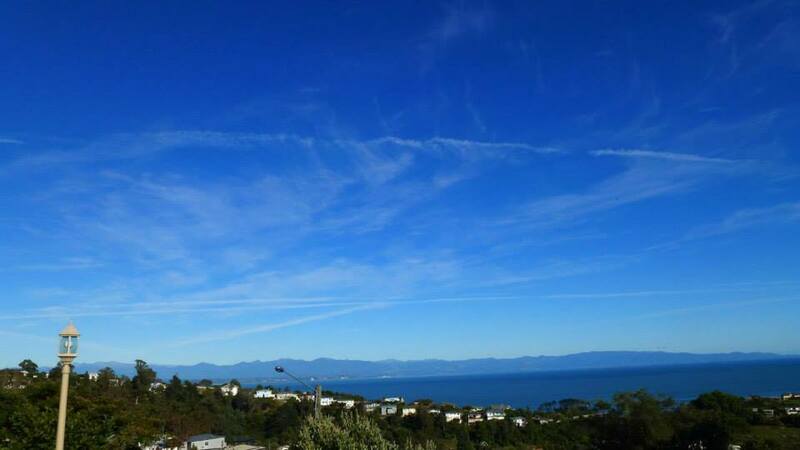 They were e-mailed to Nelson activist Louisa Young and she kindly shared them with this website. This is just disgusting! What is wrong with people? Don’t they ever look up and take notice? 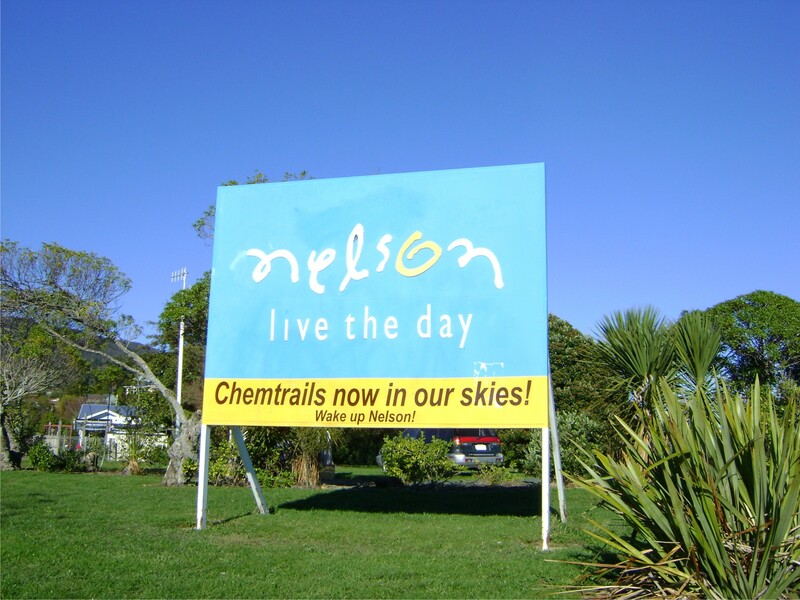 I was down in New Plymouth on holiday a few weeks ago and they were frequently spraying the skies, turning a clear sky into a cloudy haze. If I were to fly an aircraft low level and sprayed a town or a city, I would be arrested the moment I landed – and rightly so! 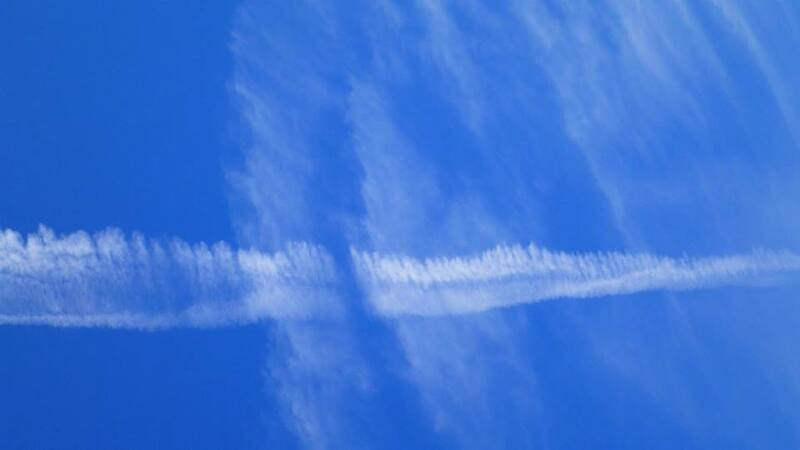 Then why is it that they can get away with spraying at high altitudes? This excuse of combating greenhouse gases is just what it is – an excuse! 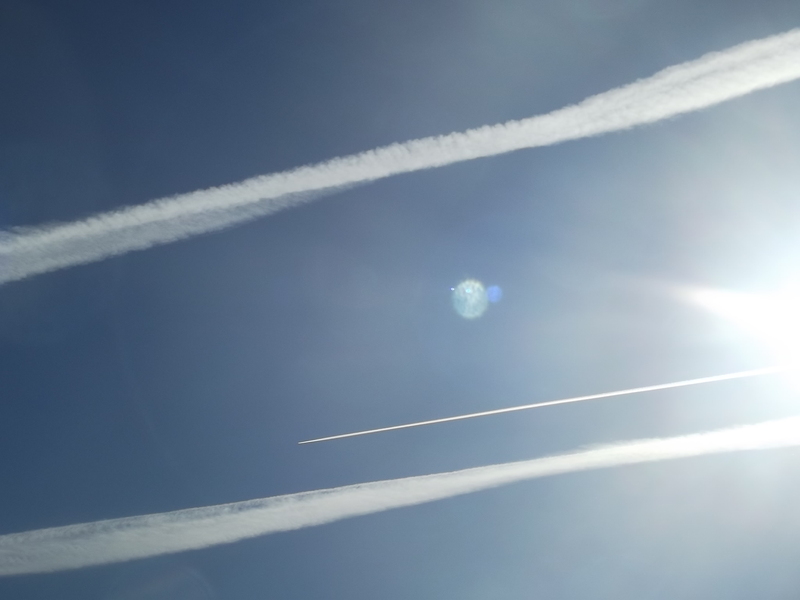 The real reason is weather modification and soft kill for Agenda 21!